This week I was invited to see Birchbox's pop-up stand at The Bullring in Birmingham. Birchbox, which was launched by two genius female entrepreneurs several years ago, is an incredibly good idea that has grown massively over the past few years. The idea is that you discover beauty products that you probably don't have the time to go out and find every day if you're a busy working person, like myself! You simply subscribe on their website, which I've linked above for you, and a box full of beauty products for you to try shows up at your door every month. 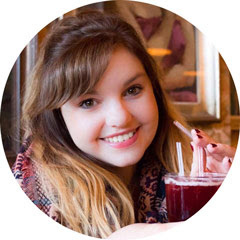 I love this idea because although I like to take care of myself and enjoy trying new products out, I don't necessarily have the time to search Superdrug and Boots every single evening. So the idea that I could try out things and see if they work for me before heading to a store to buy a full sized version of the product is ideal. Birchbox are currently touring the UK to give us all an idea of how the box works, and gives you the opportunity to build your own box. What's on offer? There are so many hair, skin and body care products available as well as a huge range of make-up like eyebrow pencils, mascara and lipsticks. The best thing is that in store, for six products, your box is only £15 and you get the service there of assistants who talk you through the products that will work for you the best. Alternatively, on the Birchbox site, you can purchase a 5 product monthly box for £10 or choose a 6-month option or even a yearly one - and don't worry, Birchbox don't just throw in any old tat, they find out what you like the most through your beauty profile. 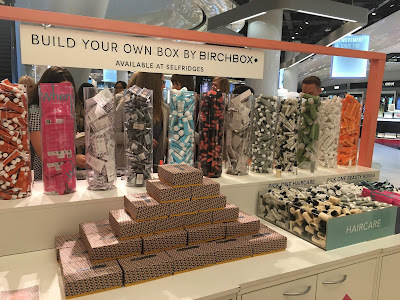 I am currently loving the products which I chose at the Birchbox pop-up store, which is on the third floor of Selfridges in Birmingham. I picked up a John Masters Organics hair detangler which is an absolute dream and makes my hair smell amazing at the same time as doing a good job! I also chose Caudalie Paris radiance serum, Rituals foaming shower gel and BBrowbar brow pencil, all of which I am yet to use, but looking forward to cracking them open. I picked up two lipsticks, one Mirenesse Glossy Kiss in scarlet, which I gave to a family member as they have been after that shade for a lifetime and a gorgeous peach Laqa & Co Cheeky Lip which looks so good on my lips. So far, so good and I will definitely be looking forward to my June Birchbox box as I have registered on the site to try out more! Birchbox is at Selfridges in Birmingham until June 11th, so get there quickly to see it all for yourself!